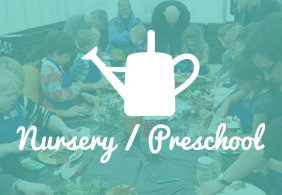 Gardening4Kids also visits children’s nurseries, pre-school groups and primary schools on a monthly basis in Aberdeen and Aberdeenshire to run classes. 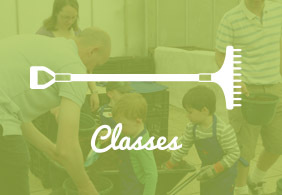 These classes run all year round and will be based on a monthly seasonal gardening theme or around an activity of the nursery, pre-school group or primary school’s choosing to do with their own garden development. We can also advise on garden development and design for your nursery, pre-school group or primary school. To date we have run classes for children attending Craigton Lodge Nursery in Peterculter, Great Western Road Pre-School Nurseries in Aberdeen, Meldrum Primary School in Oldmeldrum, Crathie Toddler Group, Ballater and Cultercullen Primary School. Prices start at £80 + cost of resources. This includes 1 hour taught lesson plus 30 minutes either side of the taught lesson for set up and clear down. Tools and aprons are provided free of charge. If you are interested in having Gardening4Kids at your nursery, pre-school group or primary school please contact us for further details. Gardening4Kids also offers workshops for adults in how to get your nursery, pre-school group or primary school’s garden growing. 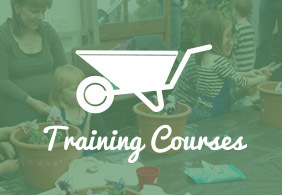 The workshops cover how to get started, developing and maintaining your outdoor space and some suitable gardening activities resources for pre-schoolers. This could prove useful for the continued professional development for adults who work with pre-schoolers. If you are interested in having Gardening4Kids holding a workshop at your nursery, pre-school group or primary school please contact us for further details. View our events to check availability and book a class. Gardening4Kids was created by its proprietor Joanne Evans. The idea grew whilst she retrained as a garden designer and also started her own family. The aim of Gardening4Kids is to encourage children’s interest in gardening early on and give them invaluable basic life skills and an understanding of the world around them.